Grab the kids and go on a Christmas Scavenger Hunt. Use this scavenger hunt in the car (searching for Christmas Lights and Decorations), as a Christmas Party game, or as a fun activity around the house. Last week, my son and I were at a Craft Fair. You know what my son is not into? Shopping. So, I grabbed our dry-erase Christmas Scavenger Hunt and he played a game of seek-and-find while we walked from booth to booth. It kept him happy… and allowed me to shop! Car Ride Christmas Light Scavenger Hunt – Load up in a car and drive around town to look at Christmas lights and decorations. Work together, or compete, to see who can mark off the most Christmas items from the board. 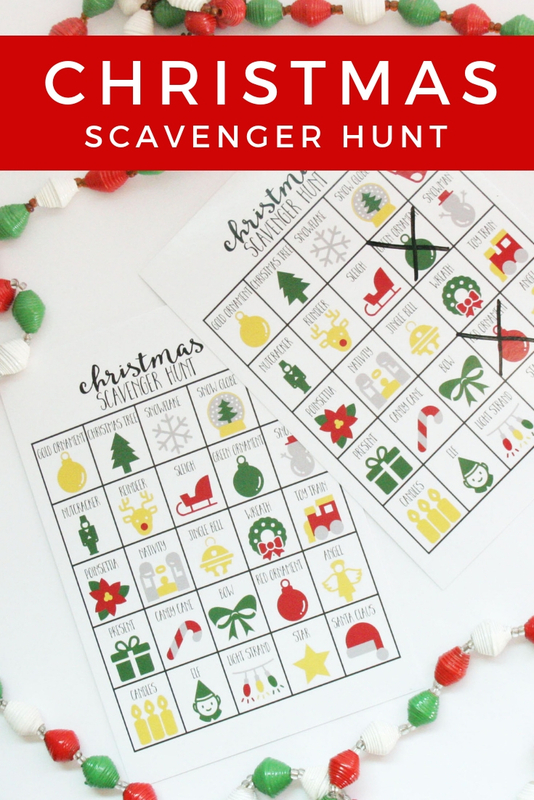 Christmas Scavenger Hunt Party Game – At a festively decorated Christmas Party, challenge guests to search the decor in order to find as many Christmas items as they can (great for school Christmas parties!). Christmas Decoration Scavenger Hunt – Add a little more fun to decorating the house for Christmas. The kids will enjoy helping unpack Christmas decoration when they are also competing to mark off the most Christmas items from their list. Photo Christmas Scavenger Hunt – Great for adults, send them around town to capture photos of the Christmas decor with their smartphones. Allot extra points when a person is in the photo, too, or require entire groups be in the photo with each item listed on the Christmas Scavenger Hunt. There are two ways to buy my Scavenger Hunt Games for Kids. I sell them on Amazon and Etsy, in both digital and physical formats. 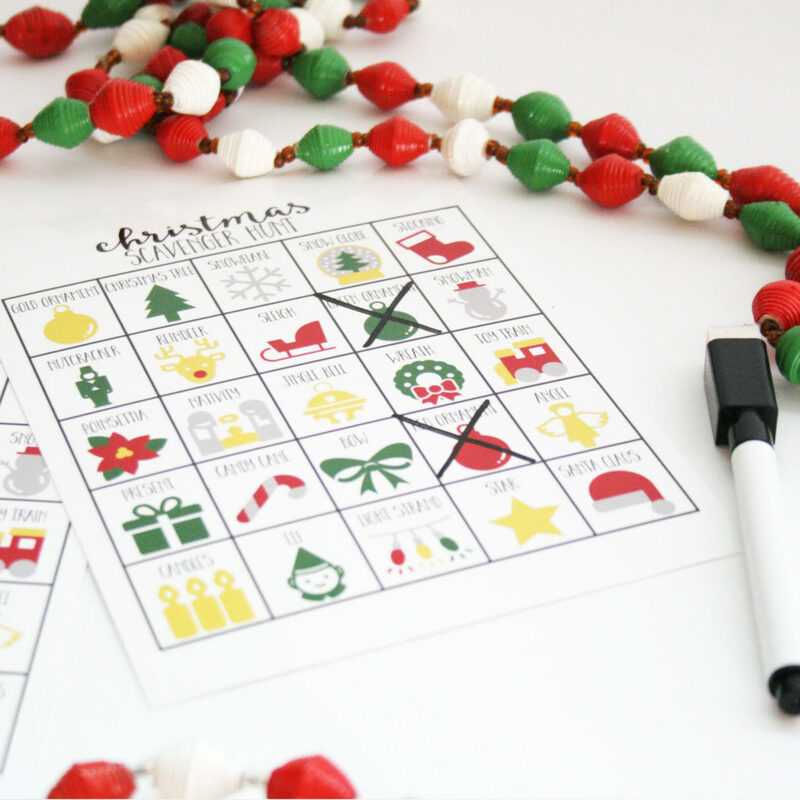 To order a dry-erase Christmas Scavenger Hunt Game (with free standard shipping! ), head over to my shop on Amazon. Don’t want a dry-erase version? 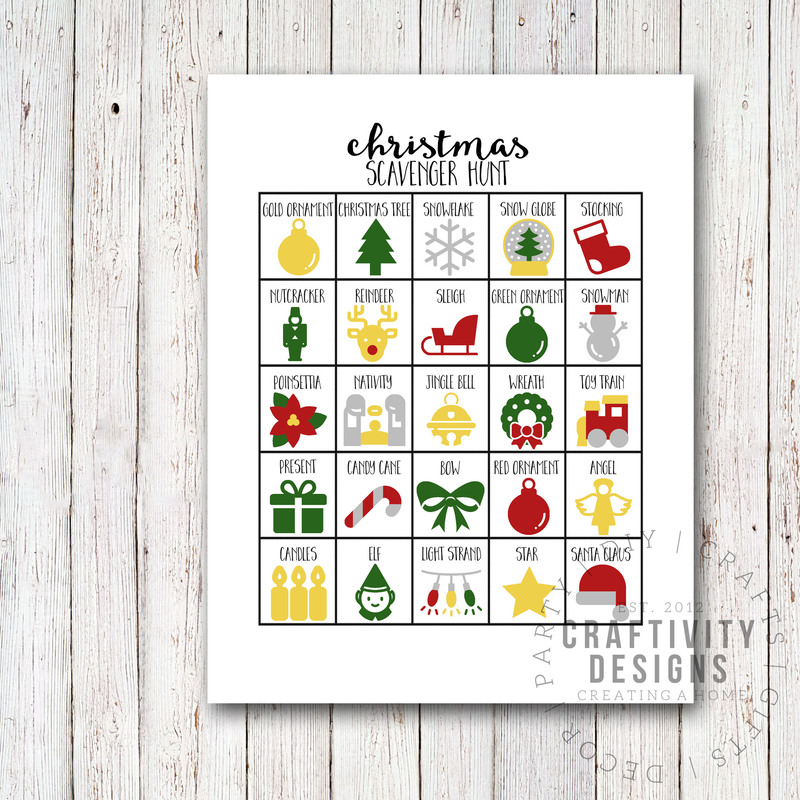 You can also download and print a Christmas Scavenger Hunt from my Etsy Shop.